Here we offer a key extender so that you can extend the key length, ideal for deep music boxes where you need to take the key through a thick bottomed box, often used in the construction of new musical boxes. 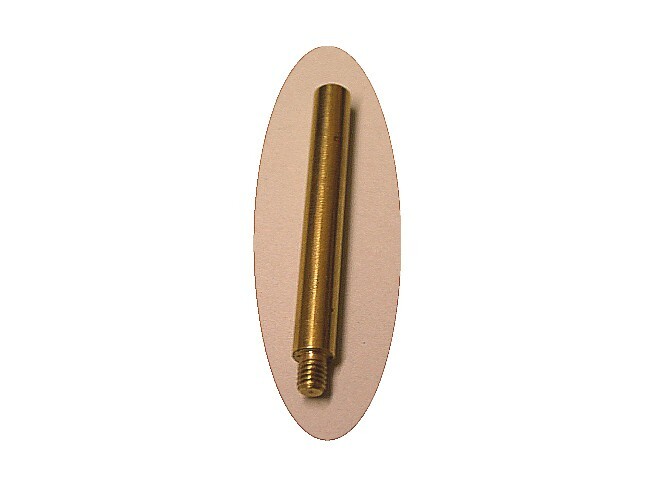 Music box key extender available in length 38mm, 12mm or 8mm (not including thread). Please note the key extender will only fit a Sankyo key, it does not fit the Reuge key. The extenders are measured at M3.5 with a pitch of 0.6.